Guided math instruction (small group teaching + math centers) is a very powerful means of instruction. But, your students need to be grouped effectively to really maximize the benefits. 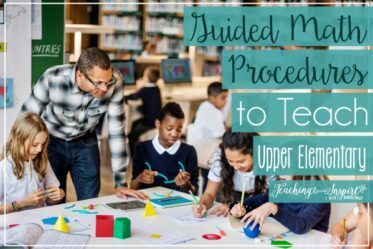 This post shares several tips and guidelines to consider when forming your guided math groups. How many students will you have in each group? An ideal number is 4-6 students per group. If possible, groups with struggling students should be kept smaller. How many groups will you have? The number of guided math groups really depends on your class size. If you have a large class size, you will need to have more groups to keep the group size in that 4-6 students range. Also, think about how many centers you want to include. The number of centers should be equal to the number of groups you have. 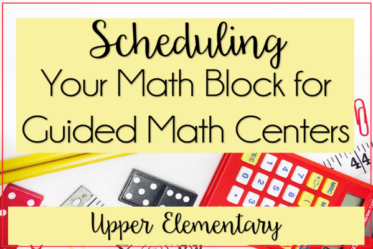 To read more about my specific guided math centers, click here. How will you group your students? You can choose to group your students by similar levels (homogenous grouping) or mixed ability groups (heterogeneous grouping). Let’s look at each one of these and the pros and cons of each. Pros: Students can support each other and lower level students can learn from higher level students. Since the students will be supporting one another, you won’t need to differentiate as much. Cons: Lower level students can easily learn to just depend on their group members to support them. Higher level students may feel like they are not being challenged enough. Teaching a small group lesson is more difficult with mixed ability levels because certain students may overpower others in the group and dominate the discussion. Even though you are mixed ability grouping, you still want to keep the levels as close together as you can. You don’t want an advanced learner with a struggling learning. But, you can mix a struggling learner with a medium-low or even a medium-advanced learner who is very patient and supportive. Let behavior and mindset guide you when you are mixed ability grouping, and don’t be afraid to group friends together. As long as the friends are productive and it doesn’t single out any of the others in the group, having friends in groups is not so terrible. The friends are more likely to help and support one another. Pros: You can easily differentiate and level your groups. The students will be able to work closer to their own pace, with struggling students getting extra support in their center work and advanced learners getting the enrichment they need. 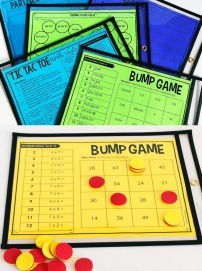 You will be able to pace and plan your math teacher time to give each group exactly what they need. If you group your students by ability, follow these tips for effective grouping. Group your students who will need the most support first. Then, group your students who may need enrichment. Those two groups are usually easy to quickly group. Finally, sort the rest of your students (the ones who fall in the “middle” ) into groups based on behavior or other areas of concern. 2.) 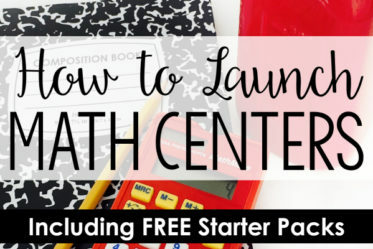 Pre-assessment data – grab FREE math pre-assessments for the beginning of the year by clicking here. 4.) Exit slips – click here to see my 5th grade math exit slips. How will the groups change? No matter what grouping you choose, you will want to be flexible and fluid with your grouping. This will allow your students to work with (and learn from) more than just a small group of students. Also, by mixing up your groups regularly, you may find that some students really thrive with others and some students don’t mix well for on-task productive work. 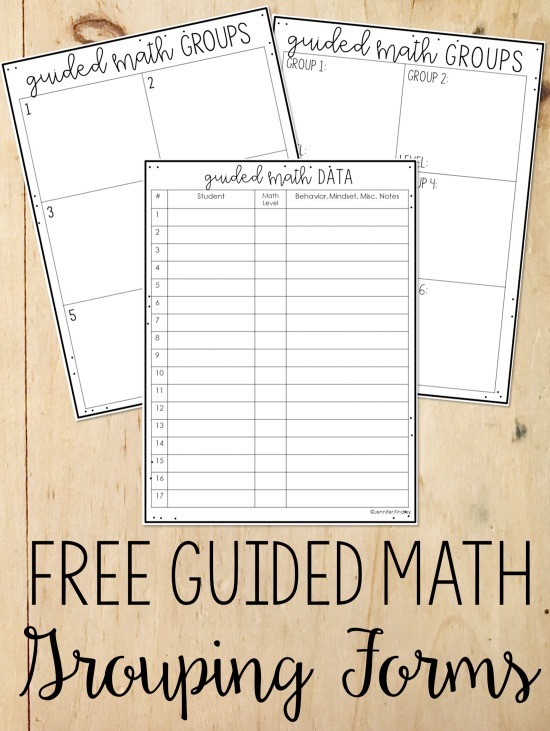 Here are some forms to help you organize your guided math groups. Complete the data sheet first (download free pre-assessments to use here) and then use the data sheet to help you form your groups. Click here to download the guided math groups forms. 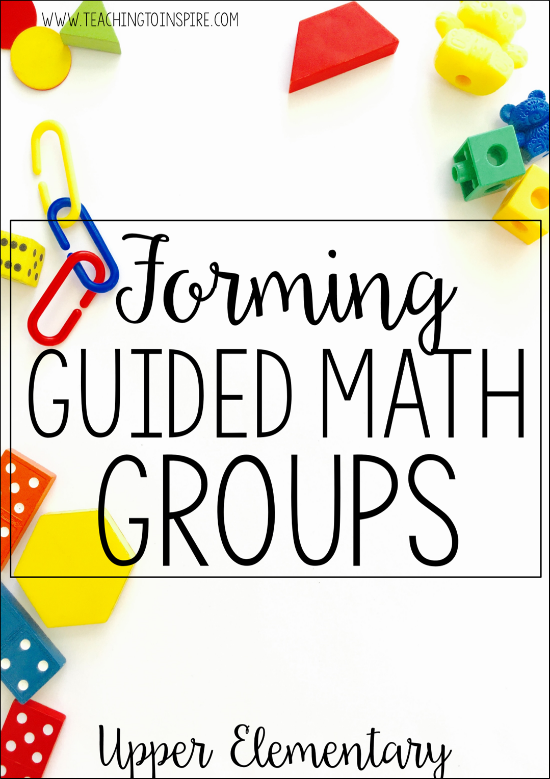 Do you have any tips for grouping students for guided math groups? Let us know in the comments. Very helpful content! Thank you! Good morning! Let me just start by saying you are a true Gem! Your posts have helped me in more ways than one. I know a while back I had subscribed to your blog and I had received the code to the freebie section but I can’t remember the code. I tried resubscribing but I never received the email again. I’ve checked spam still nothing. Can you check on your end to see if you have my email as subscribed? Thank you so much.